Sam and Ruth Garrison are well aware that they’re getting older. At ages 89 and 92, Sam and Ruth are living in the same home they have for nearly forty years, however, after a Sam’s heart attack last year and Ruth’s recent falls, they both realize that they may need some extra help. While one of their sons is urging the couple to move to an assisted living facility, Sam and Ruth are hesitant to leave their familiar surroundings and are more interested in options that allow them to stay home. There is just no comparison to the comforts of home. 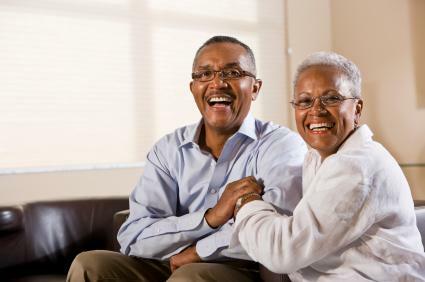 Like any other sector of the population, many seniors find comfort in the fact that they know their home and control the environment based on their own desires. The air conditioner is easy to work, the television is placed just right, and their favorite chair sits in the perfect place to do crosswords in the sunlight. The thought of leaving this familiar and comfortable environment can induce anxiety for seniors; some of whom have maintained the same routines in the same setting for decades. The homes of seniors are often the backdrop for a series of major life events. Perhaps this home is where their grandchildren celebrated their first Christmas, or even where they raised their own children. Home is where they have cooked 20 years of Thanksgiving turkeys and reveled in their first day of retirement. The idea of leaving can be an emotional strain. However, home care providers can equip seniors with the assistance they need without having to leave an environment super-charged with memories, and even help make new ones. For example, if a senior is having an old friend stop by for lunch, providers can note a task in their home care software or home care system to pick up the home and vacuum, as well as help their client shower before the big date. Some seniors feel a definite stigma associated with moving to an assisted living facility. They worry that they’ll have to eat meals with people they don’t know, and miss out on their Friday burger night tradition. However, they most fear losing their independence that has been earned over a lifetime. Remaining at home helps many seniors maintain a sense of independence, even while an in home caregiver may provide some assistance. Home care providers using a robust home care software or home care system, like ClearCare can easily track a senior’s needs, such as assistance with meal prep or light housekeeping, while seniors don’t feel like someone is constantly looking over them. Moving can be an intimidating prospect for middle aged individuals, let alone for seniors who are often set in their ways and nervous about new surroundings. If a senior is still capable of living at home, but needs an extra hand here and there, home care service from a reliable private duty provider may be the answer to allow seniors to age in place. Agencies utilizing a robust home care software or home care system, such as ClearCare, are a true ally to seniors wanting to age in place, helping to keep both the heart – and the person – at home.